Young or old, Radio is a joy to behold! Thank you for visiting my site. My name is Blair Jenkins also known as C.B. by my radio buddies. I am a Amateur Extra Class operator located in Gastonia, North Carolina. I am also an accredited ARRL Instructor. My current radio's include a Yaesu FTdx-1200 and a ICOM 718 running with Ham Radio Deluxe. My antenna is a inverted V fan dipole as well as a G5RV on the flat side roughly 35ft high. I began my radio career in 2013 working 11 meters. It didn't take me long to make the jump into amature radio. I am fasinated with everything about radio communications. I have made many friends in the short time I have been in the radio hobby. I hope to make many more friend over the years as I spirl further down the bottomless rabbit hole we call amature radio. It didn't take me long to figure out that I fell in love with one of the most expensive hobbies known to man. I love going to the mail box to find a QSL card from a contact. Although, we are among the digital age now and fewer people are sending QSL cards it still makes me smile when I receive one. 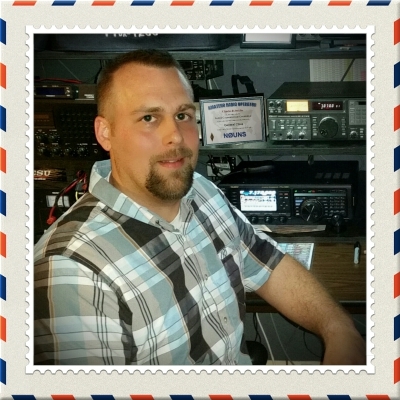 I do send QSL cards by snail mail and would prefer to receive them that way as well. I'm not a big fan of EQSL. If you would like a QSL card you can find the information under the Contact section of my site. Please feel free to look around. Send me a message if you have any questions. Hope to hear from you soon!